South Korean President Moon Jae-in sloughed off the trappings of high office Saturday and mingled with thousands of other tourists at Cambodia’s famed Angkor Wat. Moon lingered for two hours at the site, where he climbed on wooden staircases for better views, examined intricate ancient walls, posed for photos with officials, and paused to enjoy a coconut juice. 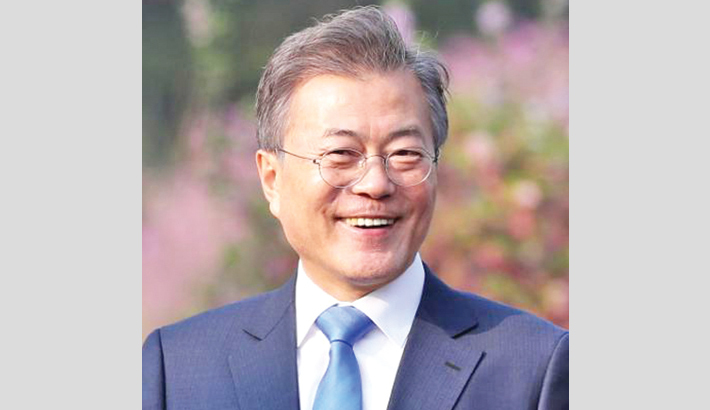 He is the first S Korean president to make a state visit to Cambodia in 10 years.